7 Great Word Games You've Never Played (or Just Forgot About) - The Word Finder Blog! “A typing game about love and suffering,” BAIKOH establishes itself as a new kind of word game. With fast-paced gameplay and a personality all its own, BAIKOH creates a gaming experience that we believe is unrivaled by its competition. The game itself has a simple premise. Tiles will be falling – fast – and you’ll have to do everything in your power to make sure they don’t reach the top. Sounds easy right? Well, not really. The game works quickly, and as you continue playing, it only gets harder. With new traps popping up seemingly after every game, you’ll have to be ready for anything. Overall, we love this game, and think it provides a very unique and exciting gaming experience. If you’re looking for something fresh and fast, BAIKOH is your answer. Another fast-paced game, Four Letters is sure to get your heart rate up. You don’t need to worry about a long tutorial or learning curve either, it’s so simple there’s a full version available for your Apple Watch. The game is both well designed and well executed. A simple concept that is incredibly easy to pick up and just as easy to play. Four letters will appear on the screen in a diamond shape, and it’s up to you to swipe a four-letter word out of them as quickly as possible. The faster you can form words in a row, the more points you’re going to get. It may not sound challenging, but trust us when we say it is very tough to master. It’s all about speed! 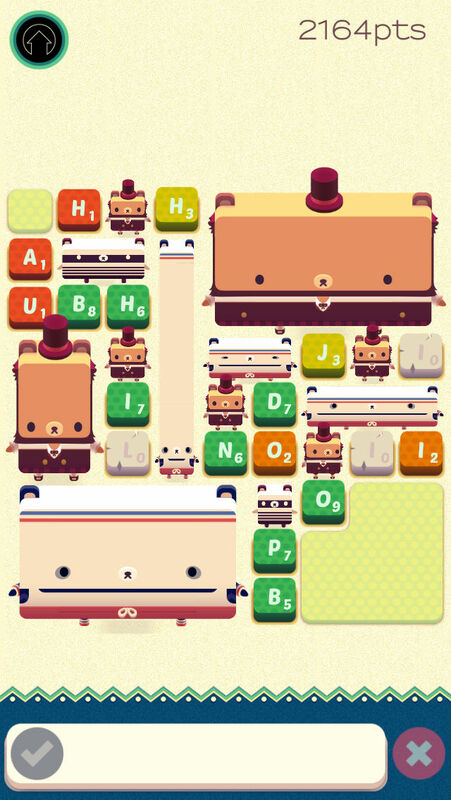 Alphabear expertly combines cute bears, great graphics, and thought-provoking gameplay to create something new. The goal of the game is to spell words using the tiles in order to grow your bears. The more letters you use, the more that become available for your next play. But be careful! Every letter has a countdown on it, and if it reaches 0 before you use it in a word, it’ll turn to stone and hurt your scores. Luckily, you’ll be able to recruit some help along the way! With tons of bears to collect, long term playability, and exceptional mechanics, this is definitely a game you need to be playing right now! Bringing in a new age of crossword puzzles, Bonza features gameplay that draws inspiration from several popular word games you know, with a little twist. The gameplay is unique and we’re very excited to share it with you. The game gives you a different theme or hint for every level, and all the words you have to spell are directly associated with either the theme or hint given. There will be little chunks of words already put together, and you’ll have to arrange them in a way that completes the puzzle. Bonza will force you to think outside of the box and get creative. 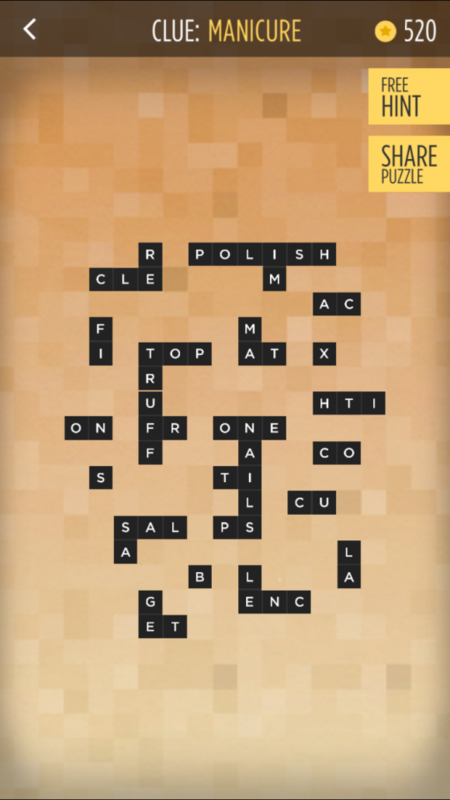 It adds a nice twist to normal crossword puzzles, and we think it’s a game that you need to try out today! Essentially Boggle with real time multiplayer; Microsoft’s 2011 hit game Wordament brings all of the competition to one place. Like Boggle, Wordament similarly offers a 4×4 grid comprised of 16 different letters. 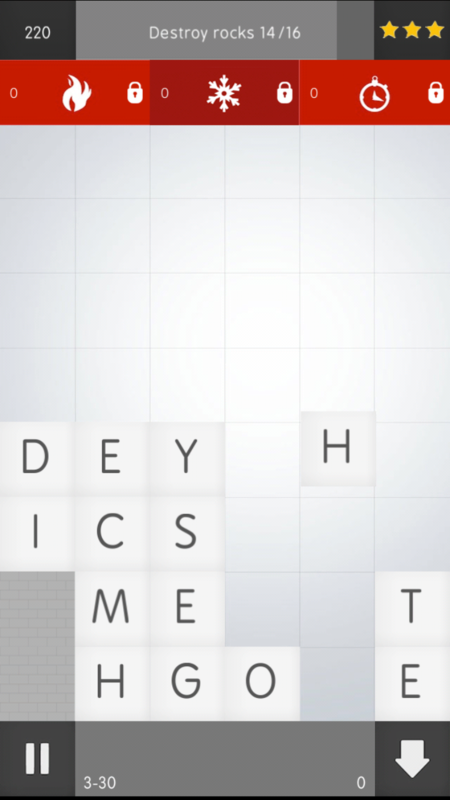 Players engage by trying to create words, using the tiles that are connected to each other. The multiplayer aspect of the game is great; each player is playing against each other simultaneously. After the 2 minute round is up, you’ll see the words you scored and could’ve scored, as well as the global leaderboard showing how you stack up to everyone else. It can get very addicting trying to beat your best rank, but stick with it! Wordament is nothing new, but the fluidity of the game and the multiplayer aspect make it something worth checking out. Combine Tetris with a dictionary and you get Letris – an old school game with a simple foundation: enter valid words to clear the screen. As simple as it sounds, Letris can prove to be more difficult than you might expect. Letters will be constantly falling from the top (similar to BAIKOH) and you’ll have to make as many words as you can. The fun thing about Letris is that there is a different goal for every level. Whether you’re trying to meet a word count quota or destroying all the rocks on the screen, there is something you need to be working towards with every word. It’s a simple concept, but you can get hooked very quickly. With tons of different modes to play (multiplayer, history, language, etc. ), Letris is a great game that should find its way onto your mobile device very soon. A game built around association, Stereotypo is a brand new concept that proves to be both challenging and entertaining. How well do you know your stereotypes? You’ll be given a grid of nicely designed icons and a theme. 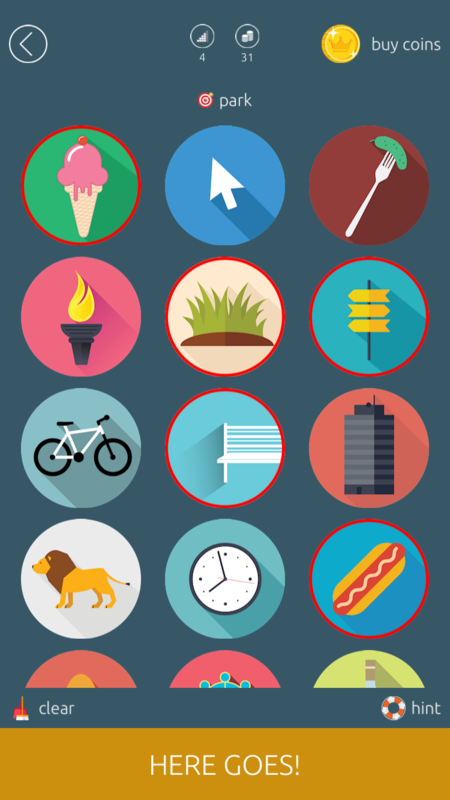 The goal is to match which of the icons fit the theme’s stereotype. It may sound easy, but like we’ve mentioned with other games, it is never as easy as it seems. While we were not offended (at least in our trial of this game), there are some general stereotypical associations made with people, places and things. This game is original, and although it does not necessarily revolve around the spelling of words, it is a word based game, and for our purposes, makes the list for its entertainment quality and uniqueness.